Built on the concept of “try before you buy”, GUSU quickly established its presence with countless satisfied customers happy with their boards. 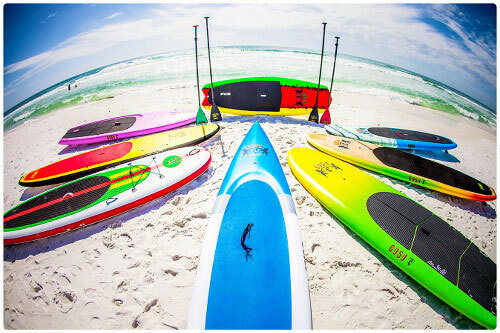 We offer paddleboard rentals in Destin Fl. and sales throughout the World. GUSU is a place where waterman, surfers, paddlers and fitness enthusiasts come together to celebrate the outdoor lifestyle. We have a full range of boards for beginners to advanced paddle surfers, so GET UP STAND UP and join the SUP family! On the Gulf Coast there are a multitude of active lifestyles beyond SUP and we have surfboards, skateboards, clothing and accessories for whatever outdoor needs you may have.